The Vertex Rx-U 1.5L Universal Media Reactor combines great performance for crystal clear results with solid construction, ease of use and easy maintenance. Vertex Rx-U 1.5L Universal Media Reactor eliminates the problem of media compaction by giving complete control of flow-through to the user. These universal reactors are designed for inline, hard-plumbed applications and/or remote, soft-hose applications. I purchased this to replace two very old TLF reactors in the sump of my 180. First of all they really are way too big and the output size is too large . They also leak like crazy . I had to remove a denitrate reactor to get these to fit in my sump. I ended up with a big problem; bacterial bloom and slime on all my filter socks making them last 24 to 48 hours . I’m getting rid of the vertex reactors ( anybody want them ?) 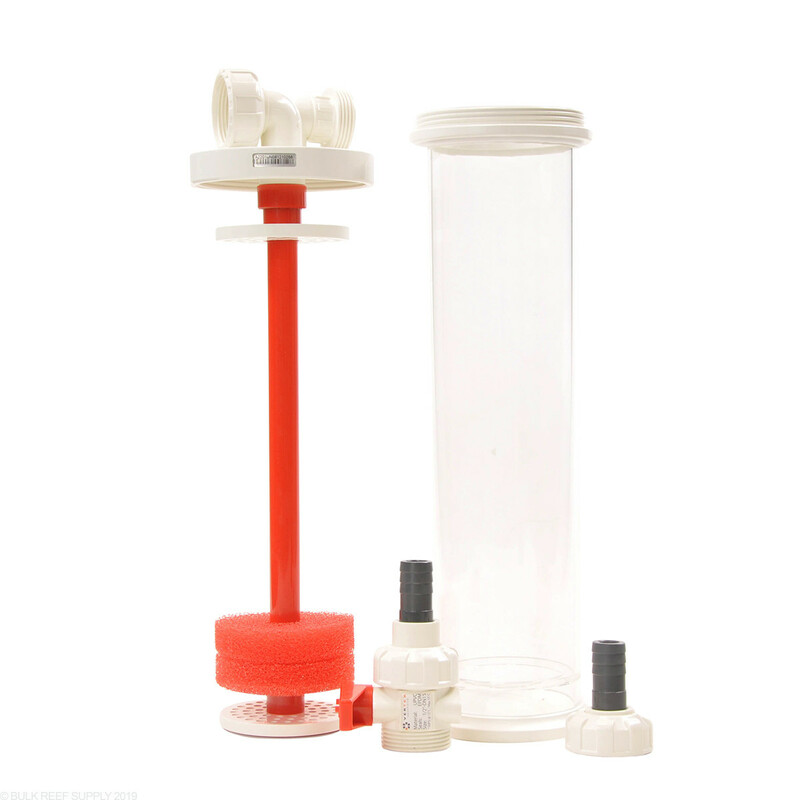 and I purchased new TLF reactors for carbon and GFO and the large TLF for denitrate . Live and learn, but I don’t suggest purchasing these . Like other Vertex products, this is another top of the line product that is built to both function well AND look great. I love it ! I got this reactor cause it works for my system., and I'm very happy with it. As usual, Vertex produces a top of the line product that is built to both function well AND look great! Be sure to plan ahead with your plumbing and sump layout and this will surely look and function the part. Buy this reactor because it is right for your system and its needs, not just because it's the most expensive. You can't expect it to work in every application, just because it's expensive. If this style reactor is what you're system requires, then you WILL NOT BE LET DOWN. My only complaint is as mentioned before gfo does fall through the foam pads way to easily. I purchased two of these for carbon and gfo and other than the foam they are built great and preform as they should. I have yet to have an issue with the O-rings though. 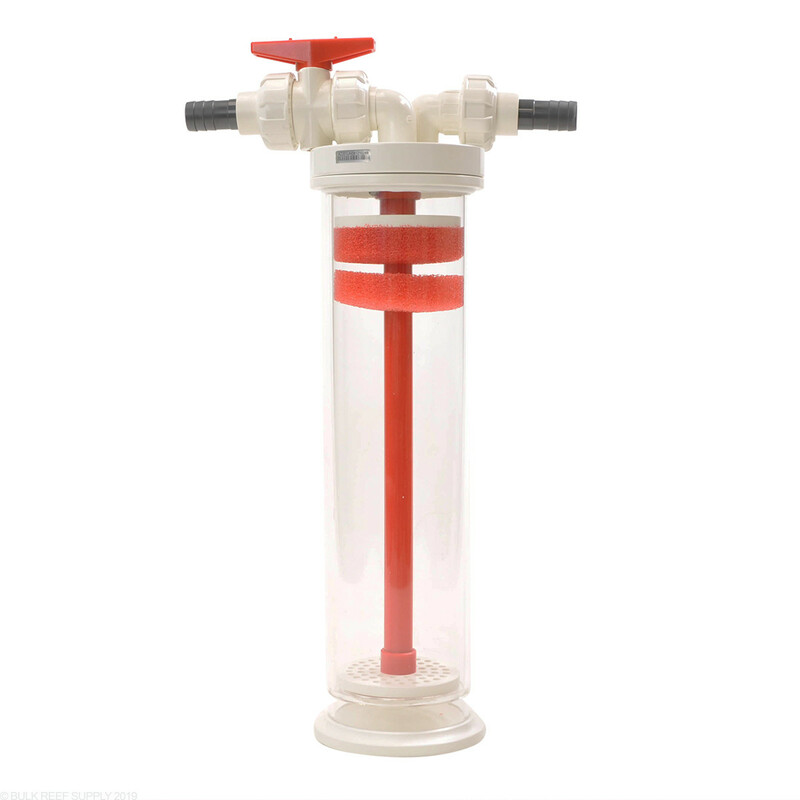 I also purchased two of these units, and their well known, a top-performer Omega 150 skimmer. I had some difficulties with the skimmer, which almost all would say is unusual, but my vicce pump impeller shaft chipped and I needed to find a replacement. I didn't have any problem reaching Vertex. Their site lists a "sales" email address, and and I heard back from Nicolas within 24 hours. He directly referred me to the U.S. distributor, Pro-Line Aquatics. He forwarded my email directly to Jen, a tech support agent there, and we were able to resolve the problem quickly, and with a full, no-hassle, replacement. This was likely my fault, but she took care of the issue at no-charge because we weren't sure what happened. You can't beat that! I was so happy with the service and support, I went ahead and ordered some extra parts they make (really nice plumbing supplies too!) and two of the UF Media Reactors, and the Omega Auto-Clean System-the Vectra. I couldn't have had a better experience. If I didn't have the issue with the impeller shaft, I might not have found their office here, and I appreciate the terrific support! I became quickly aware of the o-ring at the bottom as it comes off almost every single time you raise the shaft.. A definite design flaw that's for sure. Pretty disappointing to tell you the truth; especially for the cost, but as with pretty much every Vertex product review, "they are built well and look good". lol! For carbon I would say 4 stars due to the o-ring as that was the only issue, but for GFO I give it 2, thus the 3 star rating, Hope this helps anyone interested in these. I have 3 of these reactors, (purchased at the same time for my 225 Gal tank). They are well made and certainly do the job. But, buyer beware, need to replace an Oring. a filter pad , a ball valve, sorry your out of luck. Nowhere could I find any replacement parts for this or I guess any Vertex product. And don't bother emailing Vertex, you won't receive a reply! As stated by others, the build quality is top notch. However, because of the placement and size (3/4") of the input/output, this design is best utilized for in line use. To use this unit in sump, you would need to bend the tubing (3/4") 90 degrees to get them to fit into the sump. It doesn't make sense to have to use a pump that requires 3/4" tubing. If you have a pump that only has a 1/2" outlet means you would need to get an adaptor to go from 3/4" to 1/2". I noticed on the BRS clownfish build that their Vertex reactor was in sump and had some form of a 90 degree adaptor. When I inquired they told me they had to go to a local plumbing supply to acquire one. 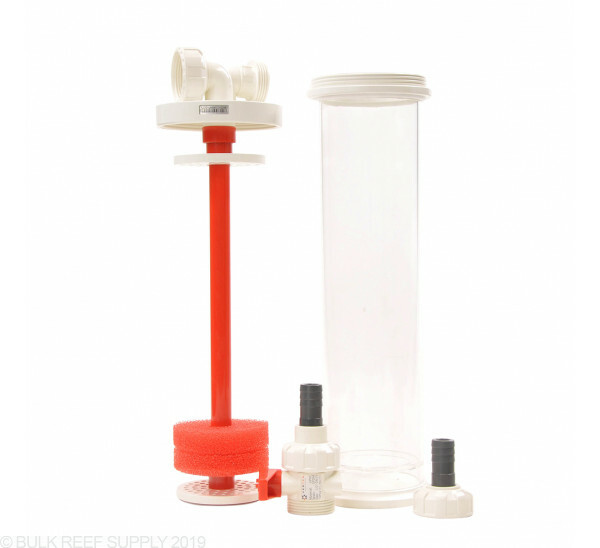 For the price of this reactor you would think you would be given all the material to use this reactor in line or in sump as the literature indicated and not have to pay for adaptors to make the unit workable. If you need a reactor for in sump use, I would look at other options. When I bought this I glued slip barb fittings into the unions in each end. For my new tank build I would like to skip the barbs and run hard pipe right to them. How can I buy a replacement for the open connection side of the Union? I think the piece is called a coupling. If you need to replace on side of the current union you can use the vertex conversion union listed below. Ideally you will want to contact Vertex as well to see if they have any further parts you may need. What pump would you recommend... I plan to connect 2 of these units together for carbon & GFO (and perhaps 3rd one later on for bio - not sure). As a minimum for 2 reactors we recommend the Sicce 1.5 If you do not put too much height strain on the pump. The Vertex Rx-U reactors can be used for any type of loose media like GFO or carbon. Are the fittings standard or metric on this unit? They are actually US sized fittings, not metric!